Regional Transportation Commission of Washoe County (RTC) provides bus service in Washoe County, which includes the cities of Reno and Sparks. RTC also manages street/highway projects and regional planning in the Reno area. Most routes connect at the RTC 4th Street Station in Downtown Reno. 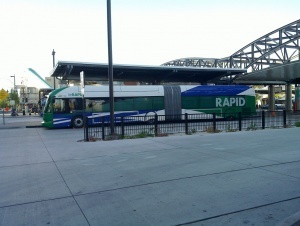 Note: Another transportation agency/transit provider in Las Vegas also uses the RTC acronym.